Art review by The Times Argus. “Blues, pale grays and white, the palette of Elizabeth Nelson’s abstracted landscapes evoke the water and air of Iceland. Mary McKay Lower’s large canvasses draw viewers in close to myriad apples peppered on the ground in a bountiful year, a murder of flapping crows, the catalpas in her back yard and more. Edgewater Gallery, Middlebury VT hosted a juried show entitled "The Color of Light" for the month of June 2017. Elizabeth's painting, "My Alaska" won 2nd prize. Elizabeth took part in two residencies in Reykjavik Iceland sponsored by the SIM Association (Association of Icelandic Artists) for the month of May of 2017 and the month of October 2018. She participated in a group show at the SIM Gallery during both residencies. On Saturday, March 10 from 5-7 pm, the St. Johnsbury Business and Professional Women’s Association will host a special reception for the artists in celebration of March as National Women’s Month. All are welcome to attend. ABOUT THE EXHIBITION: Working from such seemingly diverse settings as the hills and valleys of Vermont’s Northeast Kingdom, the windswept coast of Iceland, and artist studios tree near urban Boston, these artists create work as a personal response to nature. Prilla Smith Brackett’s monochromatic drawings of rooted plant life are studies of growth and decay, yet also convey a sense of danger by inviting the viewer to consider darkly seductive imagery. Jane Sherrill seeks to bear witness to the lichen and moss covering trees around New England that “seem to glow when wet;” and Elizabeth Nelson places herself in the middle of the rain and wind she experienced during a month long artist’s residency in Reykjavik Iceland. Seen together, these gestural and expressive paintings reveal personal interpretations of landscape that reflect human experience. 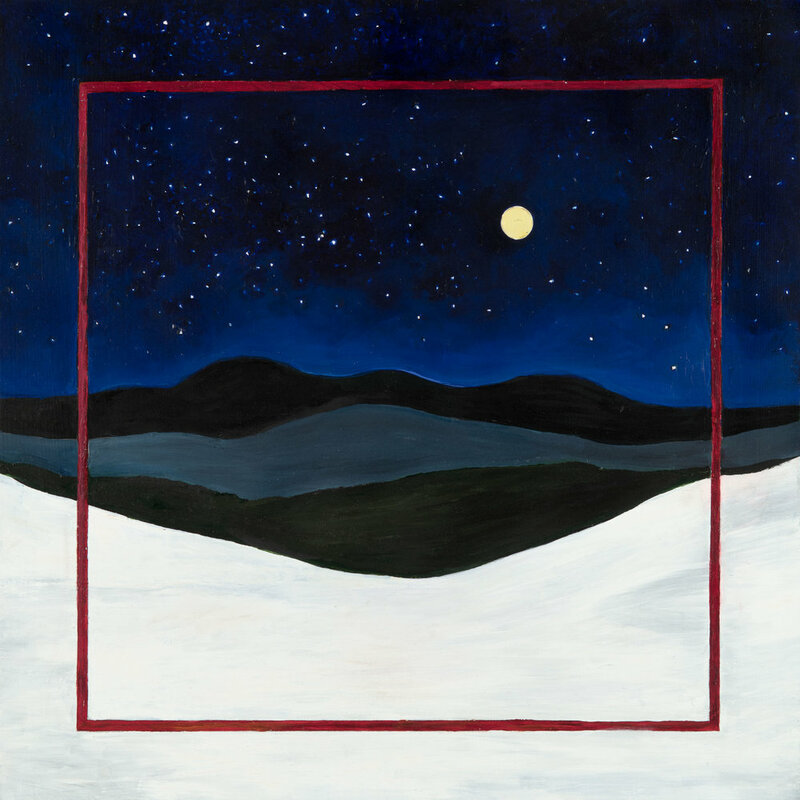 Chosen to be one of The Artists to Watch by the Vermont Arts Council and the Vermont Art Guide, one of the I Ching series paintings is included in the exhibition of the same name in the Vermont Arts Council's Spotlight Gallery. March 1, 2018 - April 30, 2018.
and work in the northern part of our state.